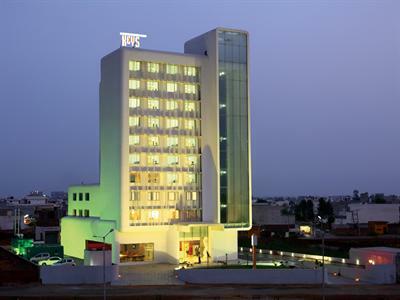 Keys Hotel, Ludhiana as the first and finest full service International standard Business hotel in the city. Our endeavor is to give your esteemed guest a new level of service experience. Keys Hotel, Ludhiana is located at Shaheed Bhagat Singh Road, Opposite City Centre on the Southern Bye Pass, Ludhiana. The hotel offers 95 well appointed rooms which includes Keys Room Category. All rooms are equipped with state of art modern facilities like tea/coffee maker, electronic safe and are Wi-Fi enabled. The guests have a choice of smoking and non-smoking rooms. The hotel provides an entire range of services to match with a contemporary 4 star business hotel. Salient among the services are in-house laundry, concierge, travel desk, 24 Hour room service, Business Center facilities, currency exchange and special room equipped to serve physically challenged. If you have not decided yet or wants to customize tour itinerary or hotels listed above in "Keys Hotel Ludhiana Online Booking Offers – Special Budget Rates", then we can change the travel itinerary and make a personalized, tailor-made holiday package, especially for you. We can modify this travel package as per your itinerary, budget, duration and the tourist places you would like to visit, including transportation and airfare should be included or not. Please fill the form below to contact us.